There are seasons in life when you just don’t feel like you have time to breathe. This has been that season. All of a sudden, life has gotten really, really busy. 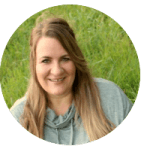 There are so many changes taking place in my family. Good changes. Necessary changes. But changes nonetheless. It feels like I adjust to one change when I’m hit with another. And each new adjustment takes my husband and I one step closer to that empty nest stage that I so dreaded last year. It’s important that my husband and I don’t allow busyness to take over and that we carve out time just for the two of us. To reconnect and reminisce over why we connected in the first place. While our children spread their wings, my husband and I look forward to more time for the two of us. 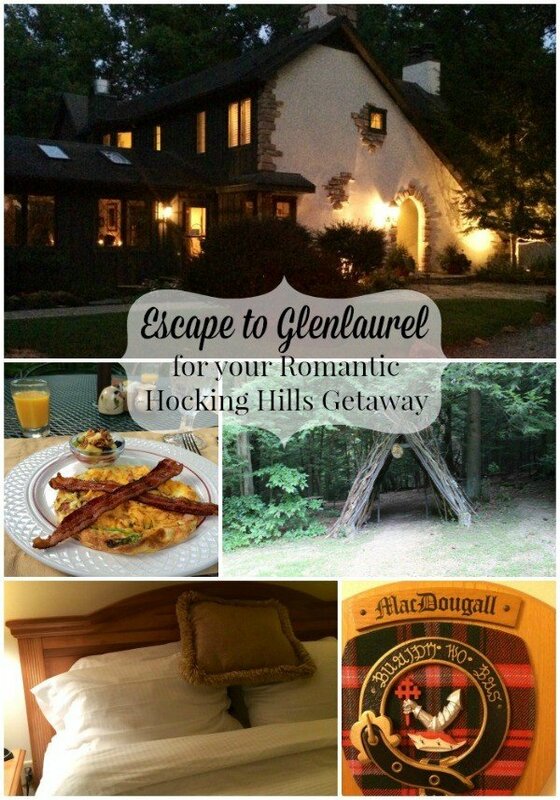 Several months ago, my husband and I were invited to visit Glenlaurel, a Scottish inspired Inn located in scenic Hocking Hills in southeastern Ohio. The offer couldn’t have come at a better time. After celebrating my daughter’s high school graduation, traveling to San Antonio for my son’s graduation from boot camp and watching my husband and oldest son travel out of state week after week to work, missing our 22-year anniversary in the process, my husband and I were in need of some “us” time. I was so excited to spend time at Glenlaurel alone with my husband. From the phone call I’d received from the staff confirming our reservations, patiently answering any questions that I had and explaining what to expect during our escape to Glenlaurel. To the email I received as a follow-up to our phone conversation, worded as though we were traveling to a romantic land far away. Anticipation continued to grow until I could hardly wait for our big day. Check in at Glenlaurel wasn’t until 3:30 p.m., but I couldn’t stand to spend the day at home. My husband and I left early and took a relaxing ride on the Hocking Valley Scenic Railway, which proved to be a great precursor to our evening. for the evening. After all, if we were staying in accommodations inspired by Scotland, shouldn’t we brush up on our Scottish history? 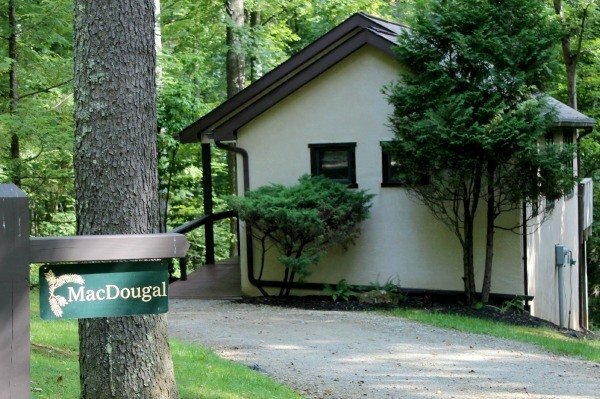 We were directed to the MacDougal croft, named after a prominent Scottish clan, a short graveled drive through the trees from the Manor House. I fell in love with the accommodations before I even stepped foot inside the door. The croft was nestled near the edge of a wooded gorge. Two walking sticks propped along the wall near the entrance made me wish we had time for a hike before dinner, but we didn’t check in until just after 5:00 p.m. Stepping inside the cozy, luxurious cottage, I immediately felt at home. My husband made himself comfortable on the couch and grabbed a magazine, as I set out to photograph our surroundings. The croft was tastefully decorated with touches of Scotland. The combined kitchen and living area opened to a screened porch overlooking the thick trees to the back of the croft. A hot tub on the porch was inviting and would have been wonderful, had I not forgotten to pack our bathing suits. Though the croft was secluded, it wasn’t so far out of view that I dared enter the hot tub unclothed. Inside, the gas log burning fireplace located in the living area opened up to a comfortable bedroom, with a queen sized bed. A short hallway lead to the large bathroom. The special touches in the cabin alluded to the thoughtfulness of the Inn Keeper. The battery operated lantern that hung by the door and walking sticks, propped against the outside wall of the croft, an invitation to leisurely explore the grounds. Freshly laundered, plush robes, waited in the bathroom for our use, and a snack of Hershey’s kisses and Scottish shortbread cookies welcomed us on the table. We dressed for our 6-course dinner, which is served nightly in the Manor House. Though it would have been a short walk, we opted to drive instead of walk in the gravel with my dress shoes. Guests of the property gather nightly in the Loch Ness Pub for complimentary cheese, fruit and soft drinks prior to dinner. My husband and I were enjoying our time alone, so we skipped the social hour and arrived minutes before we were to be seated at our private table in the dining room. Dinner was announced and began with a poetry reading. If we had arrived on a Saturday night, we may have been treated to bagpipes as well. 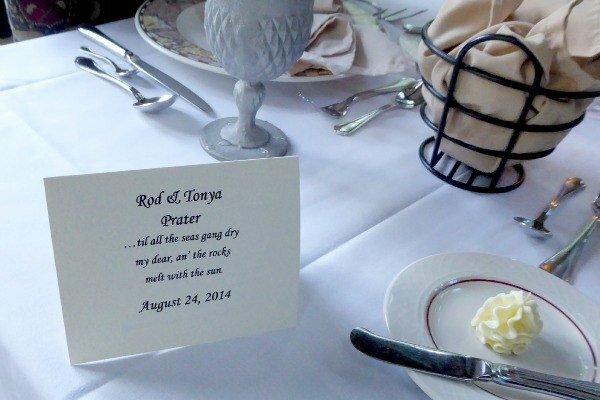 A place card with menu welcomed us to our private table and our six-course meal began. The food was delicious and my husband and I found ourselves anticipating each new course. I have a hard time determining what my favorite part of the meal was, as I savored it all. But my husband raved about the Cauliflower, Cashew Salad with Rye Croutons and Parnassian Cheese on a bed of spring mix with a Sweet Dressing. It was tasty. I won’t argue that. But so was every other selection from the Venison Sausage with Pineapple and Cranberry Relish to the Lemon Tart with Blueberry Compote. The main entrée is typically duck on Sunday evenings, but I’m not a fan, so my husband and I opted for a substitution of chicken. We weren’t disappointed. It’s hard to go wrong with that scenario. The dinner was incredible and at the end of the meal, the chef stopped by each table to say hello. I was concerned that our meal would be too heavy, but I needn’t have worried. We left feeling satisfied, not gorged. If you prefer not to dine in the Manor House, you may request a meal to be delivered to your croft as well. After a week of busy travel, we retired early, but a dip in the hot tub would have been enjoyable had we packed suits. We also could have taken a stroll on the grounds with the battery powered lantern. We were set with a TV and DVD player, and thanks to the selection of movies available in Guest Services, we also had movies to watch. We opted for a hot shower in the large two-person stall before calling it a night. The croft has central heating and cooling so you can adjust to your comfort level. 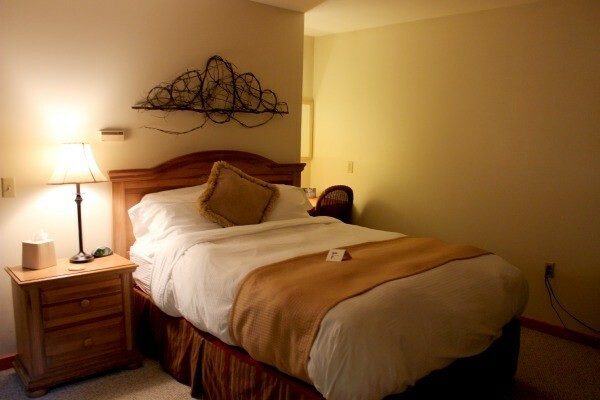 The queen bed is piled with pillows and plush blankets, with extras available if needed. It was quite cozy. The kitchen is equipped with a microwave and refrigerator so you can bring your own snacks if desired. Originally, I had planned to have breakfast on our porch, overlooking the gorge and requested that our meal be delivered to our room. The only problem is that breakfast is my husband’s favorite meal of the day and the in-room Continental Breakfast did not include warm breakfast items. My husband is very much an eggs and bacon sort of guy, so I cancelled my order and we dined on the Grand Deck at the Manor House. Our three-course morning meal consisted of scones, porridge and an Egg & Cheese Spinach Frittata with Bacon and Orange Juice. Each course was served separately, which took longer than I expected. 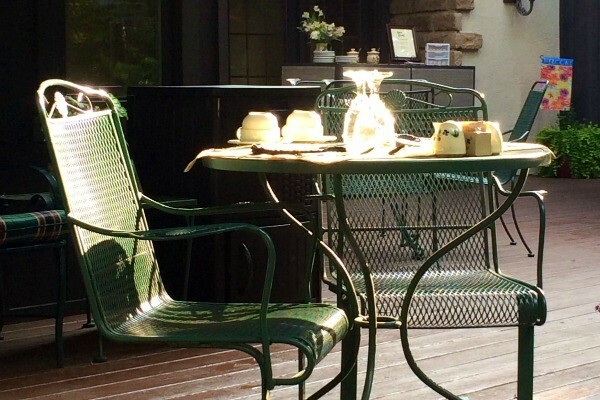 I know it’s supposed to be a relaxing, leisurely breakfast, but my husband and I were eager to explore the grounds since we were only on the property for one night. 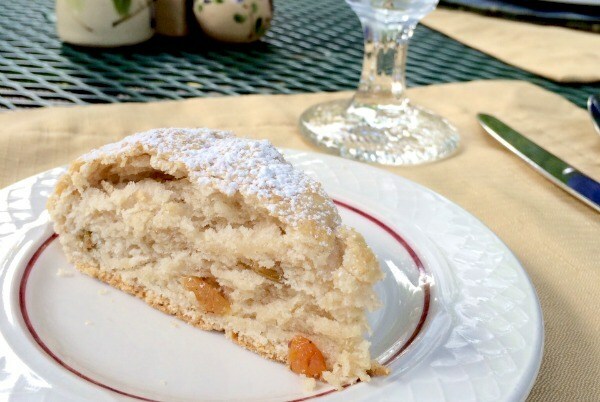 After breakfast, we checked out of our room (by 11:30) and set off to explore the grounds along the private hiking trails at Glenlaurel Had we planned to spend several hours, we could have requested a gourmet packed lunch to take with us. We parked by the Manor House and followed the sign for the Camusfearna Gorge Trail which winds past the main house and descends towards the gorge. When the trail leveled off, we stopped to rest in a wooden swing that overlooked part of the gorge before we continued on. 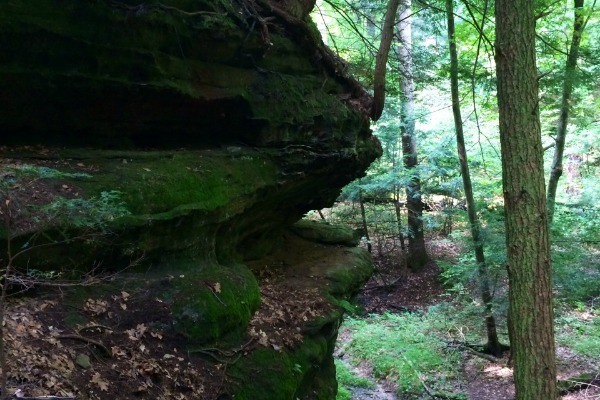 The Hocking Hills region is my favorite place to hike in the state and the Camusfearna Gorge trail is no exception. It offers guests gorgeous views of rock formations, cliffs and waterfalls minus the crowds that you sometimes find on popular trails in the area. 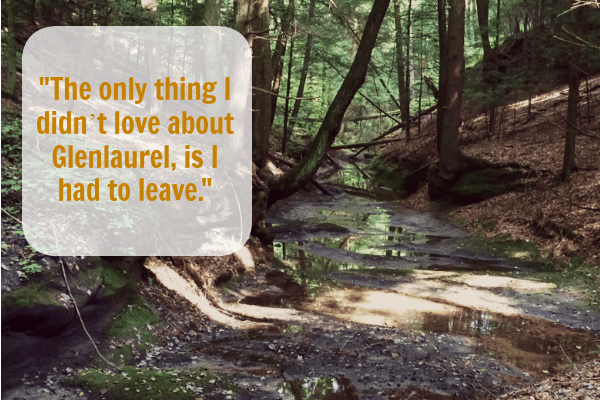 My husband and I were alone to enjoy the trail, and if we weren’t, it sure felt like we were. 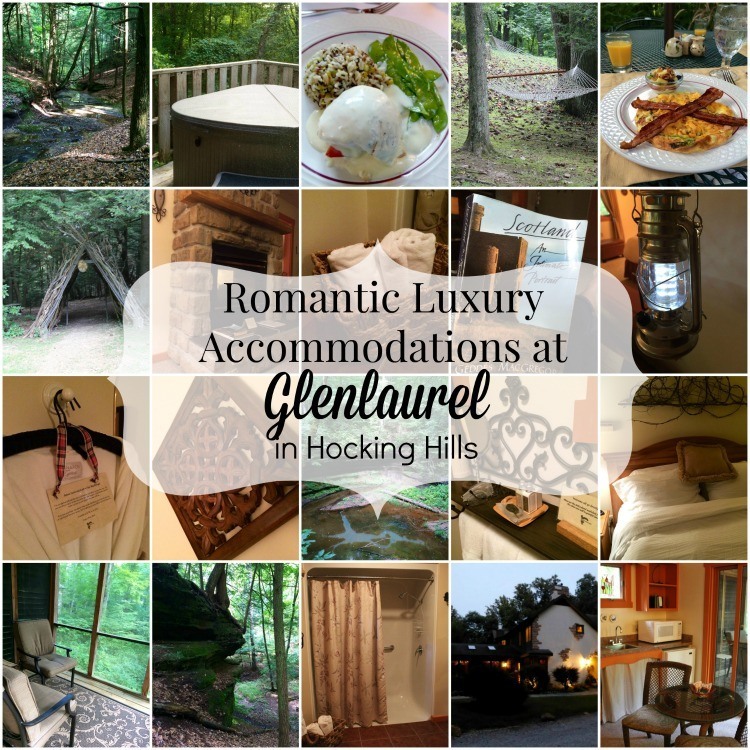 Glenlaurel is a premier romantic destination in Ohio and one I would certainly recommend if you’re looking for a private resort that offers peace and seclusion. Perfect for weddings (yes, weddings are held on the grounds), when celebrating an anniversary or just a way to reconnect with the one you love. I enjoyed everything about my stay at Glenlaurel. The only thing I didn’t love, is I had to leave. 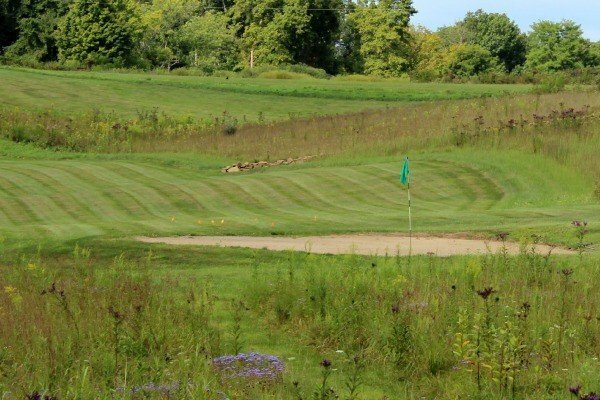 In addition to the amazing meals and beautiful hiking trails, Glenlaurel offers massage and spa packages and a Scottish Links golf course. A variety of Romantic add-ons are also available if ordered in advance. I absolutely loved my stay with my husband and have already asked him when we can return. When that happens, I’ll keep a few things in mind. The busy time for Glenlaurel is September to January. If you plan to visit, make sure to book your reservations far in advance. There is a dress code for the gourmet dinner. Please read the guidelines before you arrive to ensure you pack appropriately. 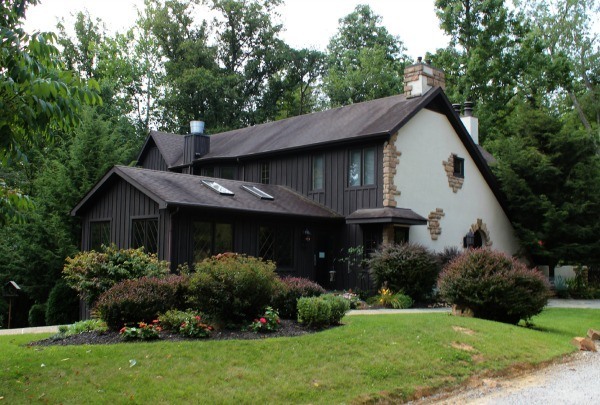 Glenlaurel is luxurious, but very comfortable. My husband dressed in khaki shorts and a collared shirt, while I opted for a nice blouse and capris during the day. We met guests who have stayed at Glenlaurel on several occasions. Keep in mind that once you visit, you will probably want to visit again. And again. I know I do. My husband and I heard of one couple that has visited over 300 times in fifteen years! The six-course meal (seven on Saturday) is an add-on. You are not required to eat in the Manor House. If you prefer a bit more alone time, you can bring a prepared meal from home or have one delivered to your room which you can eat by the fireplace, or on the screened porch. If you aren’t familiar with which fork to use when during dinner, just remember to use the utensils furthest from your plate and work your way in and you’ll be fine. If you see a tiny spoon, it’s for the sorbet. The complimentary breakfast is included but, it you’d rather save time, you can order breakfast to be delivered to your room, croft, or cottage for a small delivery fee. That is the one thing I wish I’d done differently during our stay. If you plan to hike, bug spray is a must, as are good walking shoes and water. Don’t forget your walking stick, they are provided for a reason. Cell phones are discouraged in public areas and internet access was touch and go, with an emphasis on the latter. If you have young children and plan to have a babysitter, make sure they have the number for the Inn, should you need to be contacted. Rooms, crofts and cottages also have in-room phones so you can call out on a landline if you lose cell service (My husband and I have Verizon service and we were able to make and receive calls). Thank you to Glenlaurel for hosting my stay. All opinions are mine. What an amazing place for so many reasons! The food alone would be incredible! I can’t wait to go back for some of the salad with cashews and sweet dressing. It was so amazing! I love it when there is a theme accompanying my accommodations and this seemed like it really captured the Scottish spirit! This is our favorite getaway, and we have been going ever since our honeymoon in 2010. I wish you would have taken that dip in the hot tub as they encourage you to in your “natural state”..lol. Each croft and cottage is strategically located for optimum privacy and you can’t be seen :). Welcome to the Glenlaurel tradition and yes, you will most dedinitley find yourself coming back again and again!! We just returned from Glenlaurel Inn and words can’t describe the wonderful time we had there. We were treated like royalty. The staff is so friendly and personable. We loved our room (MacGregor) all the food, the celtic music, the happy hour and hiking. It was like being in a magical other world. We will definitely return. I can’t wait!!! What a great escape. 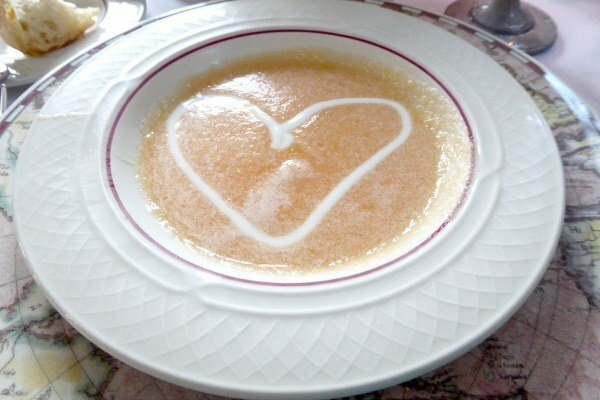 Love the heart soup. Wow, what a lovely place to stay! I’m not sure what appealed more to me, that comfy bed or that absolutely wonderful six course meal! It’s been a crazy busy couple of months for us, and I would absolutely love a night or two at the Glenlaurel to relax! Wow that looks like a nice place! I love how they did poetry for dinner. It’s always nice when a place adds a little extra touch. Looks like a great quiet Scottish inspired getaway. 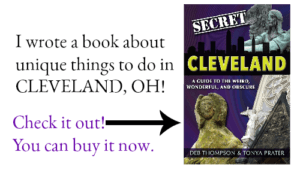 I am actually from OH and heading back to visit the Hocking Hills area in November! I went to grad school nearby (Athens) and will have to check out the lodge further. I love Hocking Hills! On the way home, my husband and I stopped to hike at Cantwell Cliffs. It was gorgeous. Enjoy your visit in November! Such a beautiful spot! Sometimes those weekend getaways with a difference are just what you need. I’ve been trying to do some more travel in my own state and it’s amazing the gems you come across! Really says something that they have guests coming back 30+ times!!! and I love that bacon with the St Andrews cross! Haha. You’re right- a weekend can make all the difference in the world. It was gorgeous. They also left a card on the bed in the croft welcoming us to Glenlaurel. I loved all the little touches.